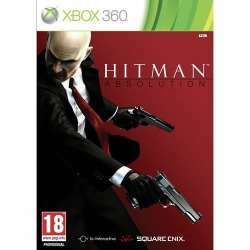 Hitman: Absolution follows cold-blooded assassin Agent 47™ as he takes on his most dangerous—and personal—contract to date. Betrayed by those he once trusted and hunted by the police, Agent 47 finds himself caught in the center of a dark conspiracy and propelled through a corrupt and twisted world. Donning the suit of this legendary assassin, you become a deadly marksman with the ability to blend into plain sight, kill with your bare hands, and fashion weapons from almost anything. Take on the role of Agent 47 and his many extraordinary talents, then ask: what kind of Hitman are you? ‌ Blend In: Impersonate your victims and hide in plain site. A huge variety of disguises offer you deep strategies, new options, and the element of surprise. ‌ Improvised Weapons: Turn everyday items into instruments of death. Unique weapons can be found anywhere, meaning exploration can pay off in amazing ways. ‌ Instincts Mode: See the world through the eyes of the ultimate assassin. Predict enemy patrols, identify escape routes, temporarily enhance your disguise - and focus your “Point-Shooting” abilities to unleash a barrage of insanely accurate shots. ‌ Choice: Approach every level in your own unique style: Silent Assassins, you can prey from the shadows and never leave a trace. Action Junkies, go in guns-blazing through the well-guarded front door. Undetectable or unrelenting, what kind of Hitman are you? Yea, mentioned it in the title. Yea it's the full game. I bought Absolution again ages ago, shortly after it was back compatible Game sold it for £2 delivered, good game for that price IMO. Not interested in the others though. Halo 4 isn’t worth the shop giving you £2, crazy disappointing.